Happy Thanksgiving to all of you at Adaptive Star…. I am late with letting you know that the foot wells came, but I wanted to send a picture. 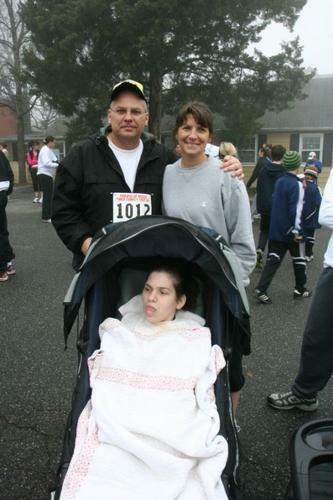 We ran the Turkey Trot here in Fredericksburg as a family today, thanks to the jogging stroller. No one had to stay behind… Major thankfulness for that!! Here is Brandy in the jogger and she looks WAY more comfy!